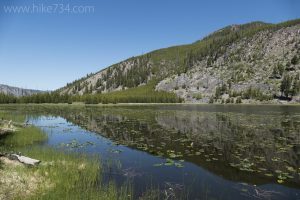 Lily pads and waterfowl are numerous in this quaint lake that is tucked below the hills in the Madison River drainage. The trail leaves the open meadows of the Madison River and enters into a thick, young stand of lodgepole pines. 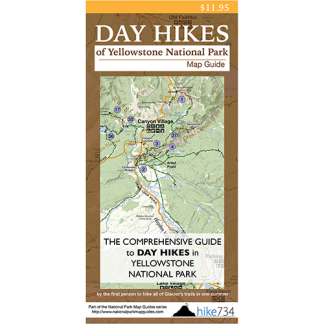 The trail gains some elevation which provides limited views of the surrounding hills. The trail exits the trees to the shore of a pretty lake that is backdropped by hills. The lake is popular with waterfowl. Trailhead: The signed trailhead for Harlequin Lake is on the West Entrance Road just west of Madison Junction.